Rui Xia, Chengjie Chen, Suresh Pokhrel, Wuqiang Ma, Kun Huang, Parth Patel, Fuxi Wang, Zhongchi Liu, Jianguo Li, and Blake C. Meyers (2019) 24-nt reproductive phasiRNAs are broadly present in angiosperms. Nature Communications 2019 Feb 7;10(1):627. doi: 10.1038/s41467-019-08543-0. Abigail Simmons, Kellie A. Davies, Wanpeng Wang, Zhongchi Liu, Dominique C. Bergmann (2019) SOL1 and SOL2 Regulate Fate Transition and Cell Divisions in the Arabidopsis Stomatal Lineage. Development. 2019 Feb 4;146(3). pii: dev171066. doi: 10.1242/dev.171066. Galimba, K., Bullock, D., Dardick, C., Liu, Z., Callahan, A. (2019) Gibberellic Acid induced parthenocarpic 'Honeycrisp' apple (Malus domestica) exhibit reduced ovary width and lower acidity. Horticulture Research (in press). Shahan, R., Li, D. and Liu, Z. (2019) Identification of genes preferentially expressed in wild strawberry receptacle fruit and demonstration of their promoter activities. Horticulture Research (In press). Zhou, J., Li, D., Wang., G., Wang, F., Kunjal, M., Joldersma, D., and Liu, Z. (2019) Application and future perspective of CRISPR/Cas9 genome editing in fruit crops Jorunal of Integrative Plant Biology (in press). Matthew D. Fischer, Emmanuel Mgboji, and Zhongchi Liu# (2018) Pyrite cloning: a single tube and programmed reaction cloning with restriction enzymes. Plant Methods Oct 17;14:91. doi: 10.1186/s13007-018-0359-7. eCollection 2018. Maria Fernanda Laranjeira-Silva, Wanpeng Wang, Tamika K. Samuel, Fernando Y. Maeda1, Vladimir Michailowsky, Iqbal Hamza, Zhongchi Liu and Norma W. Andrews (2018) A MFS-like plasma membrane transporter promotes Leishmania virulence by protecting the parasites from iron toxicity. PLoS Pathog. 2018 Jun 15;14(6):e1007140. doi: 10.1371/journal.ppat.1007140. Wanpeng Wang, Paja Sijacic, Pengbo Xu, Hongli Lian, Zhongchi Liu# (2018) Arabidopsis TSO1 and MYB3R1 form a regulatory module to coordinate cell proliferation with differentiation in shoot and root. Proc Natl Acad Sci U S A. 2018 Mar 13. pii: 201715903. doi: 10.1073/pnas.1715903115. [Epub ahead of print]. Courtney A. Hollender, Thierry Pascal, Amy Tabb, Toto Hadiarto, Chinnathambi Srinivasan, Wanpeng Wang, Zhongchi Liu, Ralph Scorza, and Chris Dardick (2018). Loss of a highly conserved Sterile Alpha Motif domain gene (WEEP) results in pendulous branch growth in peach and plum trees. Proc Natl Acad Sci U S A May 15;115(20):E4690-E4699. doi: 10.1073/pnas.1704515115. ­Chunying Kang# and Zhongchi Liu# (2018) An easy-to-follow pipeline for long non-coding RNA identification: a case study in diploid strawberry Fragaria vesca during development. Methods in Mol. Biol. (In press). Dirk Joldersma and Zhongchi Liu# (2018). The making of virgin fruit: the molecular and genetic basis of parthenocarpy. J Exp Bot. 2018 Jan 10. doi: 10.1093/jxb/erx446. Charles Hawkins, Julie Caruana, Jiaming Li, Omar Darwish, Chris Zawora, Jun Wu, Nadim Alkharouf, and Zhongchi Liu# (2017) An eFP Browser for Visualizing Strawberry Fruit and Flower Transcriptomes. Horticulture Research Horticulture Research 4, Article number: 17029 doi:10.1038/hortres.2017.29. Yongping Li, Cheng Dai, Chungen Hu, Zhongchi Liu, and Chunying Kang (2016) Global identification of alternative splicing via comparative analysis of SMRT- and Illumina-based RNA-seq in strawberry. 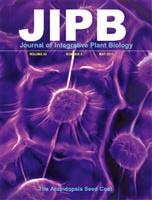 Plant Journal Dec 20. doi: 10.1111/tpj.13462. Xue Gong, Jing Han Hong, Miguel Flores-Vergara, Huangwei Chu, Jun Lim, Robert Franks, Zhongchi Liu, and Jian Xu (2016) SEUSS integrates gibberellin signaling with transcriptional inputs from the SHR-SCR-SCL3 module to regulate middle cortex formation in the Arabidopsis root. Plant Physiology 2016 Jan 27. Omar Darwish, Rachel Shahan, Zhongchi Liu, Janet P. Slovin, Nadim W. Alkharouf (2015). Reannotation of the Strawberry (Fragaria vesca) Genome. BMC Genomics 16(1):29. Rui Xia, Songqing Ye, Zongrang Liu, Blake Meyers, and Zhongchi Liu (2015) Novel and recently evolved miRNA clusters regulate expansive F-box gene networks through phasiRNAs in wild diploid strawberry. Plant Physiology 169(1):594-610. Kang, C. and Liu, Z. (2015) Global identification and analysis of long non-coding RNAs in diploid strawberry Fragaria vesca during flower and fruit development. BMC Genomics 16(1):815. Wen, Zhifeng; Yang, Yazhou; Zhang, Jinjin; Wang, Xiping; Singer, Stacy; Liu, Zhongchi; Yang, Yingjun; Liu, Zongrang (2014) Highly interactive nature of flower-specific enhancers and promoters, and its potential impact on tissue-specific expression and engineering of multiple genes or agronomic traits. Plant Biotechnology Journal 12(7):951-962. Sun Y, Fan Z, Li X, Liu Z, Li J, Yin H (2014) Distinct double flower varieties in Camellia japonica exhibit both expansion and contraction of C-class gene expression. BMC plant biology 14(1):288. Hollender CA, Kang C, Darwish O, Geretz A., Matthews BF, Slovin, J, Alkharouf N, and Liu Z. (2014). Floral transcriptomes in woodland strawberry uncover developing receptacle and anther gene networks. Plant Physiology, 165(3):1062-1075..
Kang C, Darwish O, Geretz A., Shahan R, Alkharouf N, and Liu Z. (2013) Genome-Scale Transcriptomic Insights into Early-Stage Fruit Development in Woodland Strawberry Fragaria vesca. Plant Cell 25(6):1960-78. Yin H, Gao P, Liu C, Yang J, Liu Z, Luo D. (2013) SUI-family genes encode phosphatidylserine synthases and regulate stem development in rice. Planta Jan;237(1):15-27. C. A. Hollender, A. Geretz, J.P. Slovin., Z. Liu (2012) Flower and early fruit development in diploid strawberry, Fragaria vesca. Planta Jun;235(6):1123-39. Sijacic, P., Wang, W., and Liu, Z. (2011). Recessive antimorphic alleles overcome functionally redundant loci to reveal TSO1 function in Arabidopsis flowers and meristems. PLoS Genetics Nov;7(11):e1002352. doi: 10.1371/journal.pgen.1002352. Grigorova, B, Mara, C., Hollender, C., Sijacic, P., X. Chen, and Liu, Z. (2011). LEUNIG and SEUSS regulate miR172 in Arabidopsis Flowers. Development Jun;138(12):2451-6. Paja Sijacjc and Z. Liu (2010) Novel insights from live imaging in shoot meristem development. Journal of Integrative Plant Biology 52 (4) 393-9. Chloe Mara, Boyana Grigorova, and Zhongchi Liu (2010) Floral-dip transformation of Arabidopsis thaliana to examine pTSO2:: b-glucuronidase reporter expression. J Vis Exp. 2010 Jun 11;(40). Z. Liu and C. Mara (2010) Regulation of floral homeotic genes. Invited review for a special issue on flower development. Seminars in Cell and Developmental Biology, Feb;21(1):80-86. Minh Bui and Zhongchi Liu. (2009) Simple Allele-discriminating PCR For Cost-effective and Rapid Genotyping and Mapping. Plant Methods 5:1. Jayashree Sitaraman*, Minh Bui*, and Zhongchi Liu. (2008) LEUNIG_HOMOLOG and LEUNIG are partially redundant during Arabidopsis embryo and floral development. Plant Physiology 147(2):672-681 (pdf). *: equal contribution. Courtney Hollender and Zhongchi Liu (2008). Histone Deacetylase Genes in Arabidopsis Development. Journal of Integrative Plant Biology 50(7):875-85. Z. Liu and V. Karmarkar. (2008) Gro-Tup1 family co-repressors in plant development. Trends in Plant Science 13(3):137-144 (pdf). Zongreng Liu and Zhongchi Liu. (2008) Precise and efficient ablation of male and female organs in engineering plant sterility for complete containment of transgene flow. Plant Cell Reports 27(5):855-863 (pdf). Vaniyambadi .V. Sridhar, Anandkumar Surendrarao, and Z. Liu (2006). APETALA1 and SEPALLATA3 interact with SEUSS to mediate transcription repression during flower development. Development 133, 3159-3166 (pdf). Z. Liu (2005) Regulatory Mechanisms for Floral Organ Identity Specification in Higher Plants. In Gene Expression and Regulation, a Current Scientific Frontiers Book (Ed. J. Ma). Higher Education Press, Beijing and Blackwell Publishing. Franks, R.G. and Liu, Z. 2001) Floral homeotic gene regulation. Horticultural Reviews vol. 27: 41-77. Scovel, G., Altshuler, T., Liu, Z., and Vainstein, A. (2000) The EVERGREEN gene is essential for flower initiation in carnation. J. of Heredity 91: 487-491. Liu, Z., and Meyerowitz, E. M. (1995) LEUNIG regulates AGAMOUS expression in Arabidopsis flowers. Development 121: 975-991.